for their mission. A great leader knows what he (or she) needs to do and does it. If they don’t, there’s no one else to pass the charge to. for their circumstances. They don’t say things like “I don’t think it can be done,” or “the market is tough right now.” A great leader makes things happen. for their people. A great leader knows that the people around him are his greatest asset. He takes responsibility for their growth as both employee and person. He invests in them. for their families. A great leader loves his family and serves them well. He sacrifices himself for his family; not his family for himself. for their impact. A great leader will change the world, if only for one person. for their development. Leaders are readers. A great leader will never stop learning and growing. If they do, they’re done. for their mistakes. A great leader will own his failures, learn from them, and use those experiences as amazing opportunities for growth. If you’re not willing to take responsibility, then you’re not willing to be a leader. So what are you going to take responsibility for today? What happens when circumstance is controlled by others around you, refusing to allow you take responsibility, but the rise and fall still rests on your shoulders? Chris, that sounds like a unhealthy and complicated situation. If its an organizational issue, it sounds as though you have leadership that has given you responsibility to lead your team, but hasn’t properly empowered you to do so. I don’t want to lob worthless platitudes at you here, however. 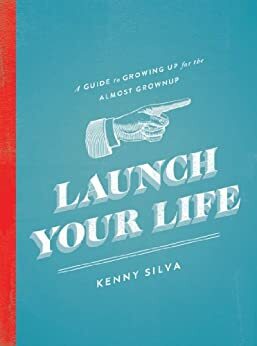 If you’d like to talk/brainstorm about it more specifically via email, feel free to shoot me a message at kenny@kennysilva.net. Let me gather my thoughts on this. I may take you up on just to get your take. I don’t want to email you immediately and end up ranting. Spot on Kenny!! Perfectly stated!! “A great leader will change the world, if only for one person.” Absolutely! I hope to hear more from you in another post on just this thought. Leaders also take care of themselves by attending to diet, exercise, and stress management. If they don’t take good care of themselves they will be no good to anyone else. If you are wondering what to read, try the book summaries at http://bit.ly/gk4ZEQ. Am so grate ful for your weeks posts, one of the things i want to take responsibility for is mentoring difficlt and stubborn , dissobidient young leaders.